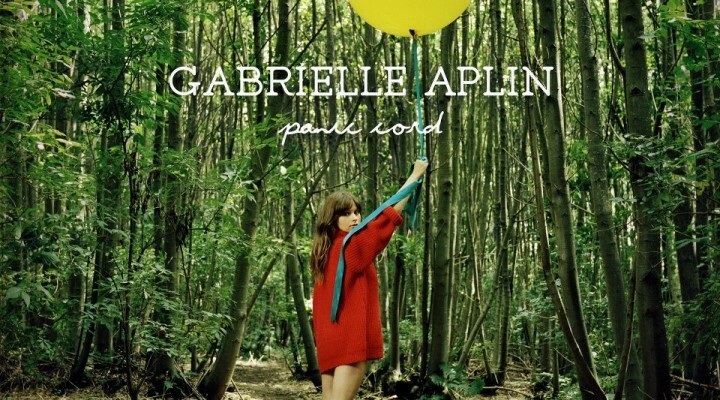 Here is the new video for Gabrielle Aplin’s latest single ‘Panic Cord’ set for release 5th May. With her ever increasing fan base, Gabrielle Aplin is fast becoming a household name. In 2012 John Lewis had a rather cute TV advertisement featuring the stunning cover of ‘The Power Of Love’ by Gabrielle Aplin reaching number 1* in the UK charts. Since then there has been no looking back. In early January she was iTunes ‘One To Watch’ giving away ‘Salvation’ as a free download for a very short time, taken from her forthcoming Album ‘English Rain’. She was also nominated by MTV for brand new 2013. With a bunch of other things going on, her next single was released February 10th ‘Please Don’t Say You Love Me’ peaking at number 3 in the UK midweek charts, finally its official chart position was number 6. Then a dream come true for Gabrielle. On 11th Feb she announced this mile stone “cannot believe today happened, how lucky am I… 2 years ago I was sat in college writing an essay on the Beatles signing to Parlophone and recording their first album with George martin at abbey road. Today I’m signed to the same label and was invited to go to Abbey Road and cover a song from Please Please Me which was recorded in the same studio 50 years ago today. Absolute dream and feel so honored” Gabrielle Aplin. If all that was not enough she then jetted off to Australia to support the legendary Ed Sheeran towards the end February. By the 25th February she announced her own UK spring tour had sold out. Her debut album ‘English Rain’ due for release 13th May. This entry was posted in Reviews and tagged Ed Sheeran, English Rain, GABRIELLE APLIN, Panic Cord. Bookmark the permalink.